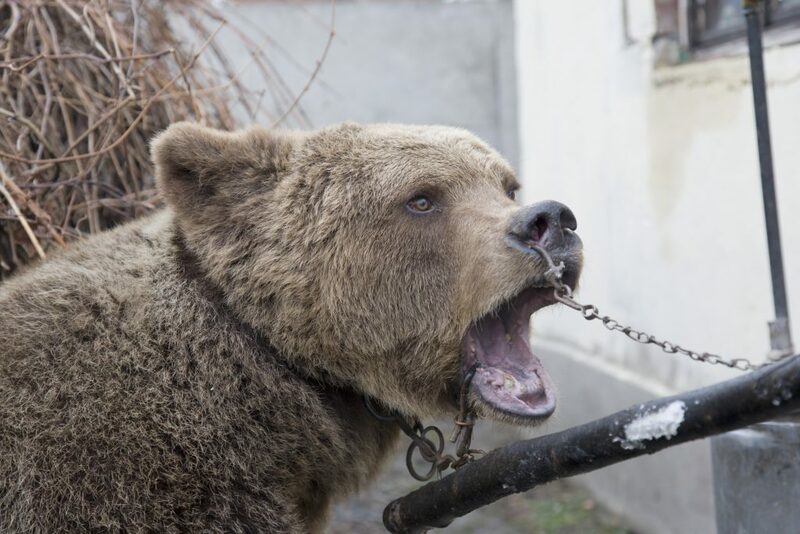 Often we get calls about bears or other wild animals being abused in baiting station or kept in filghy cages near roadside restaurants. Forgotten Animals assess the situation and what can really be done – if the case is “bad enough” for authorities to step in, we write appeals to the police and government to allow seizure of the animal and try and find a better place to rehome them to. Sometimes we succeed , sometimes not and the owner gets off with a miserable 100 pound fine. Forgotten Animals Russia President, lawyer Anastasia has drafted and proposed numerous law changes which would make lives of wild animals better. For instance, we have been arguing for a ban on Live Baiting. This barbaric practice cannot be humane and should be outlawed, as in many progressive countries. Another important law proposal requires the facilities, where marine mammals and circus animals are kept, to adhere to their natural habitat requirements. This would make it impossible for roadside, travelling and simply small dolphinariums and zoos to exist and make money. If approved, this would shut down most stationary facilities, too.